Joseph Foster b) BMD & Census records. daughter Mary and grandson John. 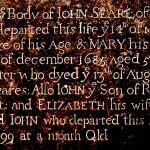 Seare, his son and two servants, and one other person (ref.b). where he wishes to be buried. 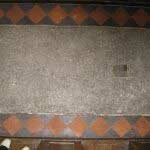 the heraldic plate is placed centrally within the top half of the slab. 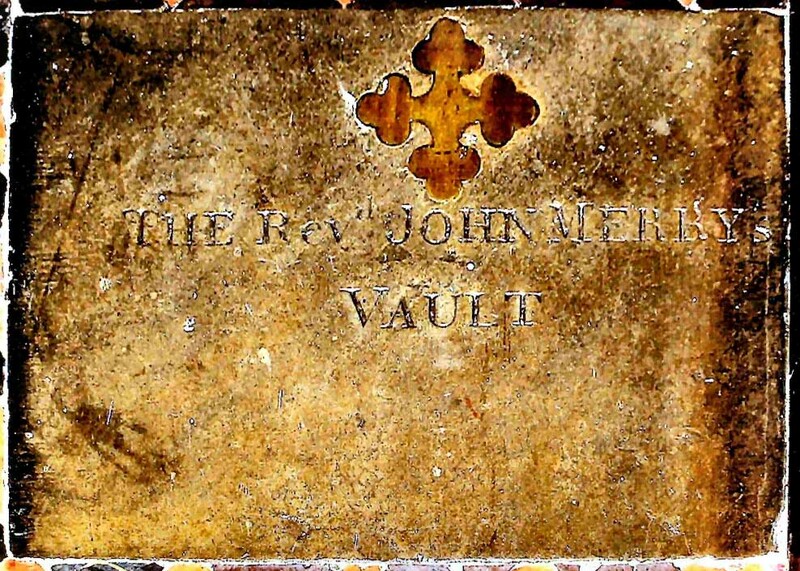 There is evidence of brass fixing studs for other plates having been fixed to the slab, one of which is now mounted on the south wall (see 003B). It is possible that this plate was fixed 23·75ins from the bottom of the slab where parts of 6 metallic studs remain coinciding with the studs on 003B. Sinister: Quarterly: 1 & 4, Paly of Argent and Azure six on a chief Gules three besants, [DONNINGTON] 2 & 3, [-] a chevron [-] between three mullets [-]. 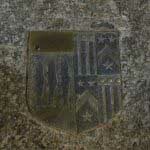 This shield appears to refer to the second marriage of Sir Thomas Kitson (Dorothy’s father) with Margaret, daughter of John Donnington of Stoke Newington. 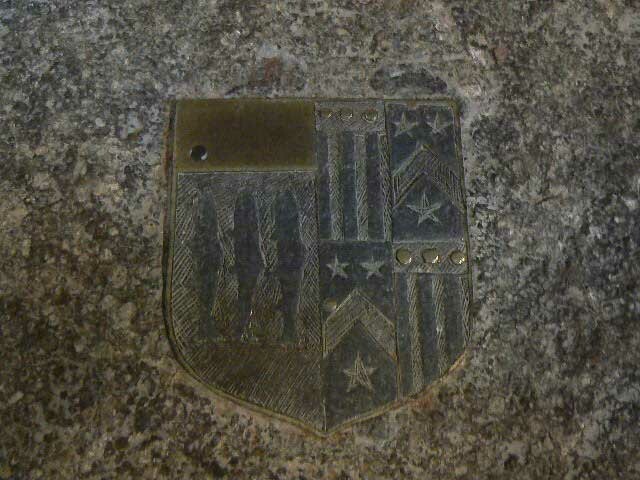 (ref.a) Although the blazon is quoted in full there is no colouring on the brass. This inscription is quoted in 003B. The other two shields can no longer be found. Record 003B is part of the record of Dorothy Pakyngton. One of the plates in 1c above, originally fixed to the slab, was mounted on the south wall and is described as 003B. 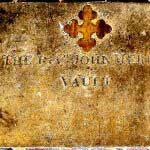 a wall tablet consisting of a rectangular brass plate. 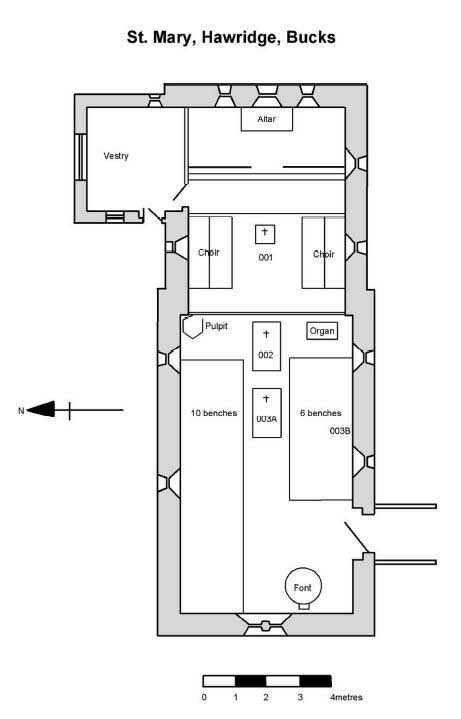 the plate on the South wall of the nave, is fixed by six screws to an oak panel with chamfered edges. 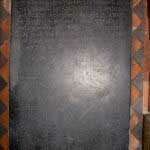 the tablet bears an incised inscription in gothic (black letter) caps and l/c with archaic spelling. 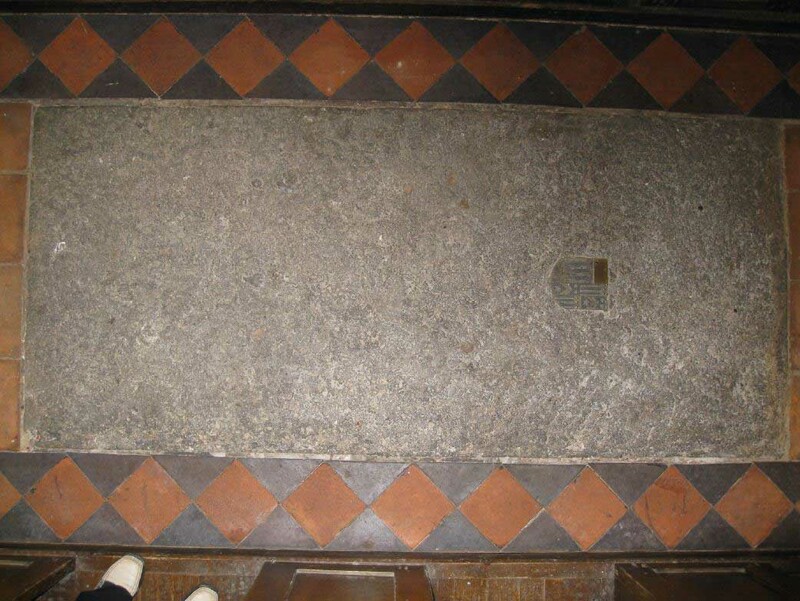 There is evidence of the lettering having had white colouring and there is some damage to the lettering which may have occurred when the plate was removed from the floor slab in the nave (003A). 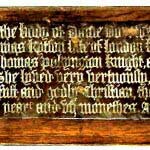 Dorothy Pakington was born in 1531, daughter of Sir Thomas Kitson, who died in 1540. 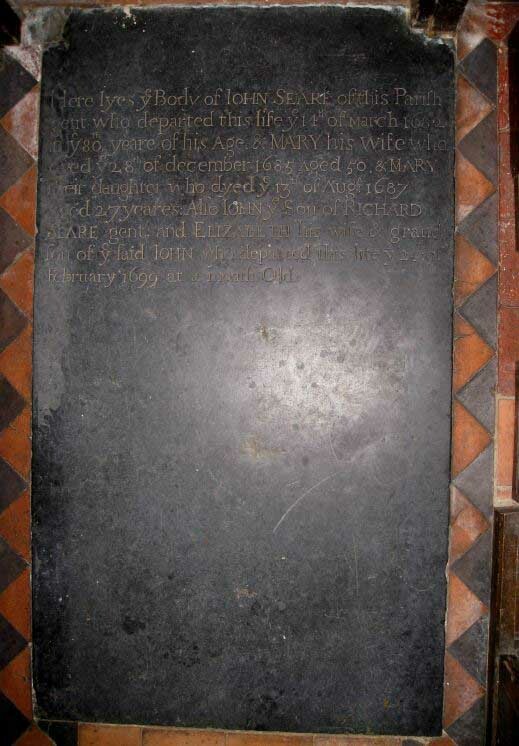 Dorothy’s widowed mother remarried the same year, and on 20 September 1546, days before her stepfather’s death, Dorothy was granted a dispensation to marry Sir Thomas Pakington (c. 1530-1571) of Hampton, Worcs. 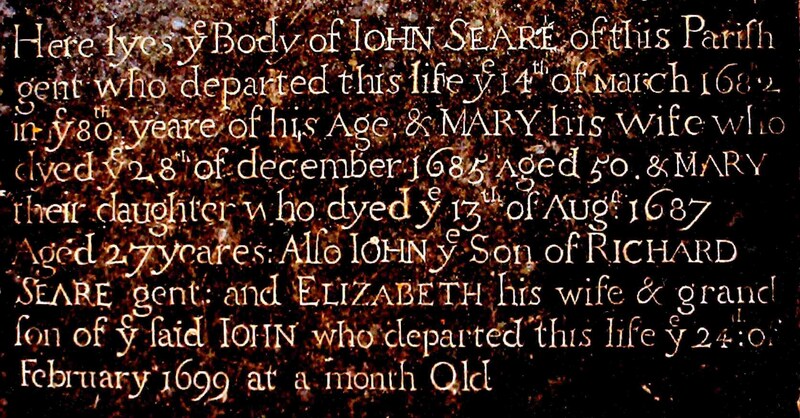 They had three sons and three daughters and, after Thomas’s death in June 1571, Dorothy remained a widow for at least a year before taking as her second husband the young Buckinghamshire lawyer Thomas Tasburgh of Hawridge (c. 1554-1602) (ref. a). and approve to be my own Act, as fully and wholly as if I were or might be present there. In witness whereof . . .” (ref. b). Although this return was not unique, returns of MPs by widows were extremely rare in early modern England. 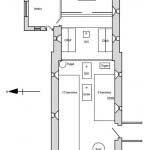 They presented the authorities with a dilemma, for in 1586 the privy council expressed concern at a woman nominating burgesses, yet at the same time there was a powerful reluctance to restrict any property rights, even when exercised by widows (ref. a). References: a) ODNB. b) Hilltop Villages of the Chilterns by David and Joan Hay, via Buckinghamshire: A Record of Local Occurrences, Vol. 1 (1878) by R. Gibbs. c) The Constitutional History of England since the Accession of George III, 1760 – 1840, Vol. 3 by Sir Thomas Erskine May. she had lyved xlvi yeare and vii monethes, anno dm. 1577. Record 003A is part of the record of Dorothy Pakyngton.